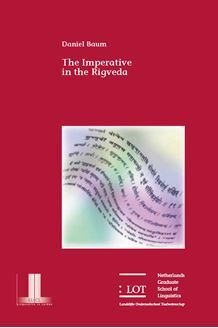 This work investigates the form and function of the imperative in the Rigveda. All of the forms of the imperative are covered from a morphological, syntactical and semantic standpoint. There is a comprehensive section on stem-ablaut and accentuation, as well as an individual treatment of each verb ending. Special forms such as those in –t¯have sections devoted to at and –si them, as do the modal aorist injunctives. The relationship between the present and aorist imperatives is discussed in a completely new light. The aorist imperative is shown to be a moribund archaism at the time of the Rigveda which functions as a metrical variant of the present imperative, with no functional difference existing between the two forms. An exception to this is fixed formulae, in which the ancient, pre-Vedic difference between these forms is preserved. Finally, in the index of attested forms, there is a treatment of every attested imperative form in the Rigveda. All attested imperative forms are noted, their grammatical classification, and their frequency. Many verbs are discussed in detail, and copious examples from the text are given.